The Drömgården project at Arbottna has the community at its heart. This is reflected in the careful planning and development of the common areas. A great deal of thought and research has gone into creating an old village feeling, where all the houses are situated in such a way that they relate to each other and the little streets and squares create natural meeting places. The idea is to create a vibrant community within the context of a small working farm that revives traditional farming methods. The residents will benefit from the farm’s own food production, and there will be a community and visitor’s center for the wider community to purchase the farm’s produce too. The buildings at Drömgården will be constructed in an environmentally friendly way and accommodations will be offered in various sizes, from one-room apartments as well as more spacious accommodations, and family dwellings. 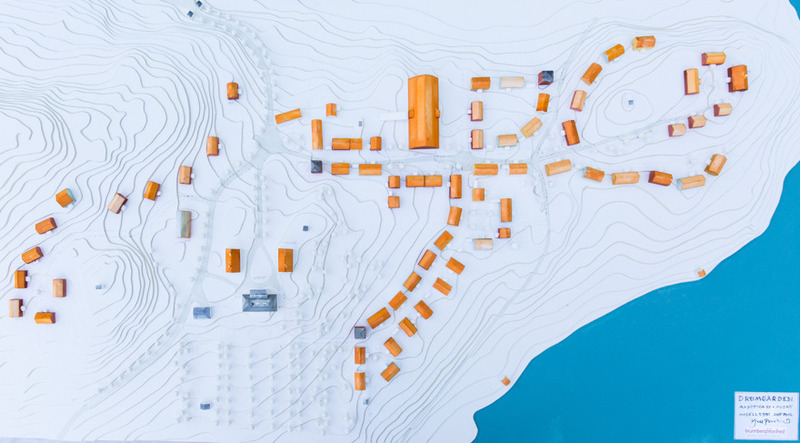 Drömgården’s vision for Arbottna - Visit us and see our model showing how we plan to develop the land whilst preserving the natural environment. In the coming years we plan to build accommodation in variety of styles and sizes. It will also be possible to hire a holiday home here in the future. If you would like to receive news of developments at Drömgården you can become a member and receive regular updates and including information on upcoming sales. A substantial portion of Drömgården’s development will consist of traditional Swedish wooden houses in varying sizes, forms and colours. The heart of the development at Drömgården will remain the Arbottna manor House, where we will have a permanent reception, a library, billiard room and wine cellar as well as a restaurant and café. The Arbottna manor house will be open to residents and anyone who is interested in enjoying all the activities and work-shops that are on offer at Drömgården.